This past year Floodwood had notable performances at IBMA’s Wide Open Bluegrass Street Festival, late night at Capitol Theatre after Phil and Friends, Summer Camp, a tour to the midwest on the way to Shoe Fest, a variety of shows in Colorado, Upstate New York, a tour to Florida to play Suwannee Springfest and a number of other shows all along the east coast. The band is also a mainstay at moe.down where they originated on Labor Day of 2011. 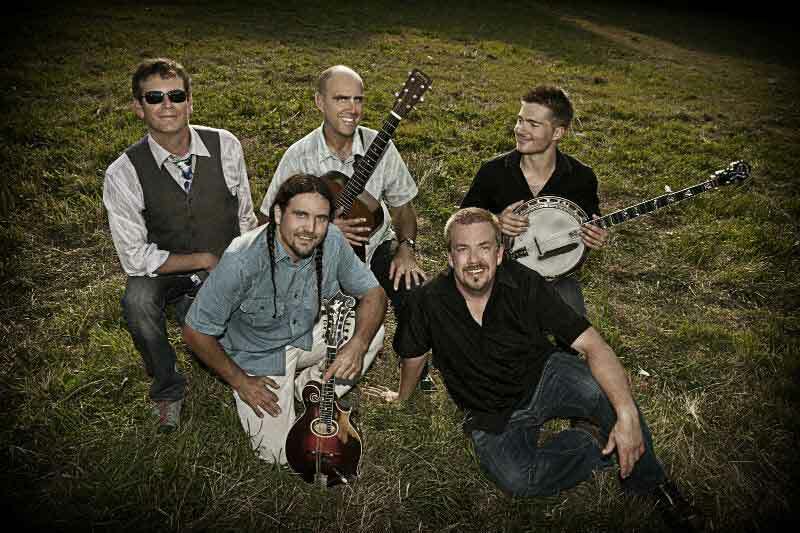 In January 2014, Floodwood released a live album This is Live as a follow up to 2013’s studio album,This is Life. “This is Life” was funded by a successful kickstarter campaign which raised nearly $20,000. There is talk of putting together a new studio album in 2015. Guitarist & vocalist Al Schnier and drummer Vinnie Amico not only play together inmoe., one of the premier touring bands in the country who is celebrating their 25th year as a band in 2015, but they’ve also recorded & toured as the Americana group Al & The Transamericans for over a decade before starting Floodwood. Likewise, mandolinist Jason Barady spent over ten years recording & touring with the Bluegrass group Wooden Spoon from Taos, until returning to his hometown in central, NY. Nick Piccininni is a largely self taught violinist, who learned his bluegrass chops the old fashioned way – in festival picking circles & bluegrass festivals. He’s been a professional banjo player & fiddler in high demand on the bluegrass circuit since the age of 13, and has toured w/ The Abrams Brothers, The Atkinsons, The Delaneys, & more. Bass player Zachary Fleitz is a Berklee Graduate & Hypnotic Clambake alumnus. Zach joined forces w. Wooden Spoon & has played w. J & Nick for the last few years. Al, Nick, and Jason all take lead on vocals various tunes.